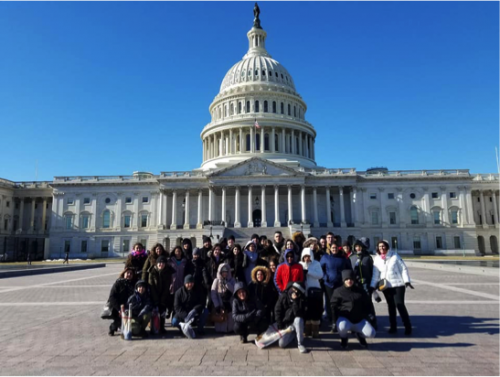 A group of 37 Teen SOYO members and advisors from St. George Cathedral in Coral Gables, Florida boarded a flight early on Saturday, January 19, 2019 to began their pilgrimage to Washington, D.C. While in the nation's capital, participants visited the Antiochian churches in the D.C. and Maryland area, as well as the National, Greek, and OCA cathedrals. The Teen SOYO group was also blessed to see so many of our nation’s beautiful and historic sites, many of which have religious significance. In addition, many bonds were formed, creating memories which will last forever.